Getting to know the different car insurance group ratings and understanding how they work is vital before making a vehicle purchase, and subsequently finding out your car insurance premium is way more that you had budgeted for! This ratings system enables motorists to make a better judgement of the level of driver and vehicle protection, and the type of policy that would be most suitable for their particular profile. Click through on the ‘Get a Quote’ button above to compare car insurance quotes from over 100 of the leading UK motor insurers, and obtain the most suitable cover and protection you require for your vehicle and it’s insurance group rating. The Quotezone click and compare service is entirely free to use. 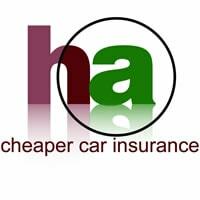 It is a totally independent and impartial insurance comparison site, already helping over 1 million drivers across the UK to get the best deal. UK insurers, companies, brokers, providers and intermediaries take advantage of the ratings system to provide the correct level of car insurance group. Motor Insurers meet every month to review the vehicles in each band. The categorisation of each car reflects a mix of specification data (engine size, performance, initial purchase cost etc) and ‘real-world’ data that considers the statistical probability of claims being made by owners, and the cost of repairs resulting from those claims. Note how the ratings number rises according to relevant engine size, and performance of the car. We can deduce then that the higher the group, the more relatively expensive it is likely to be to insure the vehicle. (1 is low, 20 is high). Their are obviously other factors which are inputted to accurately reflect the correct grouping for a particular make and model of car i.e. vehicle security level, age, is the car an import etc? Further concise information can be found on the Parkers website. Ratings are established and devised by The Motor Insurance Repair Research Centre at Thatcham in conjunction with the Association of British Insurers (ABI). In fact, Thatcham provide 70% of the information used to establish the Insurance Group of every private motor car registered in the UK. The relevant bands of private cars and light commercial vehicles can be seen on the Association of British Insurers web site. On their pages you can clearly establish and most importantly understand how the system works! See the following pages for information and the option to get a quote for the motor manufacturer you drive or are looking to get covered for – A-N Manufacturers; O-Z Manufacturers.